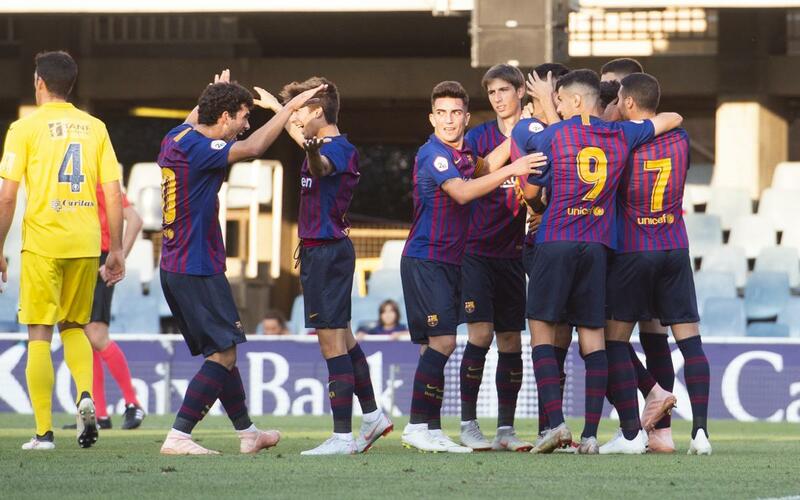 Barça B have six points from their last two games after seeing off UE Olot at the Miniestadi thanks to two goals in the opening ten minutes. It was an intense, quality showing from the reserves, with Chumi getting them off to the perfect start and a hard-working Abel Ruiz very much putting them in the driving seat with a quick second. Olot were able to pull a goal back before the break, but the situation never really looked too concerning for the hosts, who were finally able to celebrate a victory in front of their own fans. The likes of Monchu, Riqui Puig and Aleñá gave plenty of demonstrations of the amazing kinds of things they can do at such a tender age, while Mujica was hugely unfortunate not to also get on the scoresheet when his effort rebounded back off the bar. The rapid pace of the first half meant that the second was never going to be as frantic, and was as much about FCB controlling the game as anything else. And that cause was made somewhat lighter when Olot were reduced to ten men following a second booking for Barnils. That as good as put the game to bed, and Barça B have shot up the table thanks to three much needed points.